While commuting death sentence awarded to a man convicted for murdering six members in a family, the Supreme Court has observed that socio-economic condition of a convict is a factor that must be taken into consideration for the purposes of awarding an appropriate sentence to a convict. 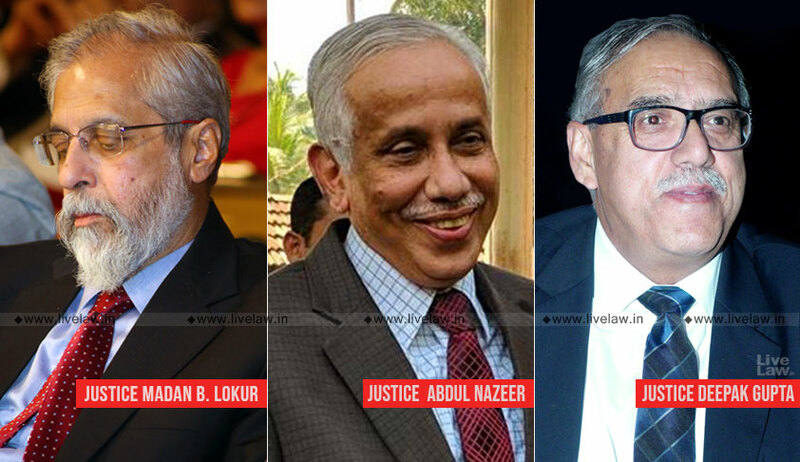 The bench comprising Justice Madan B. Lokur, Justice S. Abdul Nazeer and Justice Deepak Gupta was considering the review petition filed by M.A. Antony @ Antappan, against a 2009 judgment of the apex court which had dismissed his appeal against the Kerala High Court verdict confirming death sentence. The review petition, which was earlier dismissed, was re-heard, following the dictum laid down in Mohd. Arif alias Ashfaq v. The Registrar Supreme Court of India. The Kerala High Court had, while confirming the sentence observed that the crime committed the accused was the most cruel and diabolical and that he had no respect, no care, no dignity, no mercy for human life and his living in this world is most dangerous to society. There is no doubt that the socio-economic factors relating to a convict should be taken into consideration for the purposes of deciding whether to award life sentence or death sentence. One of the reasons for this is the perception (perhaps misplaced) that it is only convicts belonging to the poor and disadvantaged sections of society that are awarded capital sentence while others are not. Several accused persons belonging to the weaker sections of society cannot afford defence counsel and they are obliged to turn to the National Legal Services Authority, the State Legal Services Authority or the District Legal Services Committee for legal representation. While these authorities provide the best legal assistance possible at their command, it sometimes falls short of expectations resulting in the conviction of an accused and, depending upon the facts of the case and the sentencing process followed, a sentence of death follows. That the poor are more often than not at the receiving end in access to justice and access to the remedies available is evident from a fairly recent report prepared by the Supreme Court Legal Services Committee which acknowledges, through Project Sahyog, enormous delays in attending to cases of the poor and the needy. Quality legal aid to the disadvantaged and weaker sections of society is an area that requires great and urgent attention and we hope that a vigorous beginning is made in this direction in the New Year. The bench also said that trial judge erred in holding that the collective conscience of the society was disturbed and felt repulsed by the gravity of the crime committed by the accused. “It would be wise if impressions gathered on what is perceived to be public opinion or collective conscience of the society are eschewed while sentencing a convict found guilty of a grave or brutal crime,” the court added. Setting aside the high court judgment and commuting the sentence to life imprisonment, the bench observed that it overlooked consideration of the probability of reform or rehabilitation and social reintegration of the accused into society.